The front panel is one of the few places where many cases differentiate themselves from other cases. Fractal Design has continued with the angular pattern that they have on their other Meshify cases. 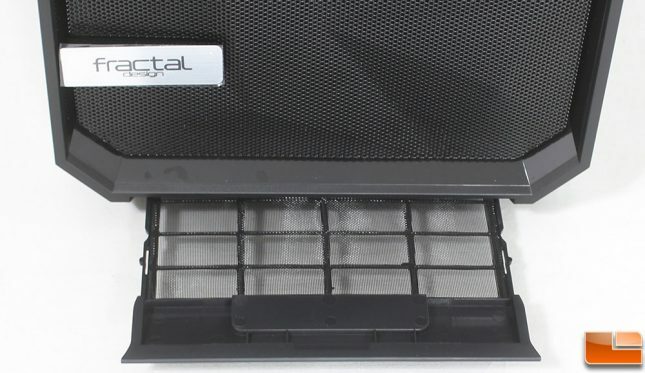 The entire front panel is all mesh, allowing the maximum amount of airflow into the intake fans. There are two methods to removing the front panel, first you can remove must the mesh, however you can also remove the plastic shroud. Removing just the mesh part will make it easy to install fans or a liquid cooling radiator. However, you will need to remove the plastic shroud in order to access the screws that hold the removable power supply cover in place. 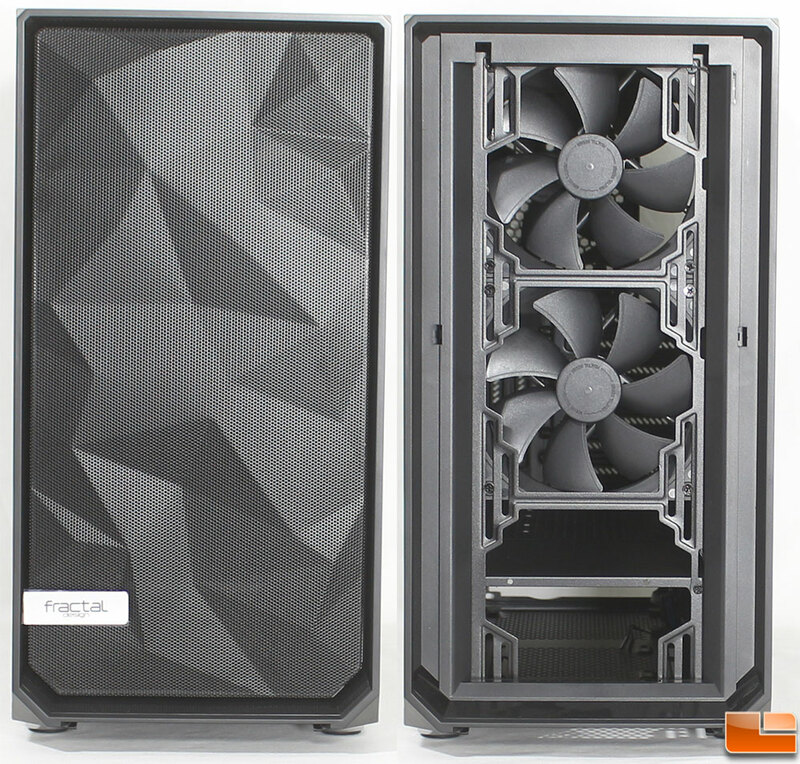 While on many cases the bottom filter is removed out the back of the case, Fractal Design has opted to design the Meshify S2 with the bottom filter coming out the front of the case. We’ll see why in a few moments. The top panel is actually two different parts, there is the outer layer that is part of the chassis, and a wire mesh section that provides plenty airflow; Fractal Design recommend this area to be used as an exhaust. Behind the wire mesh panel is a simple filter that would help keep the interior clean if you used this area as an intake. Along the front edge is the front I/O cluster. The top panel features a removable mesh section, which is removed by a button on the back panel (we’ll see that soon). With the panel removed we find a large amount of space for up to three 140mm fans. 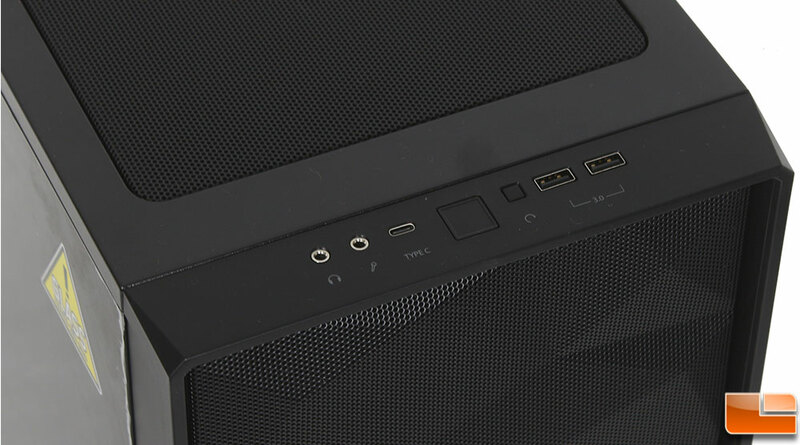 In addition, there is a dedicated fill-port for custom water cooling setups. 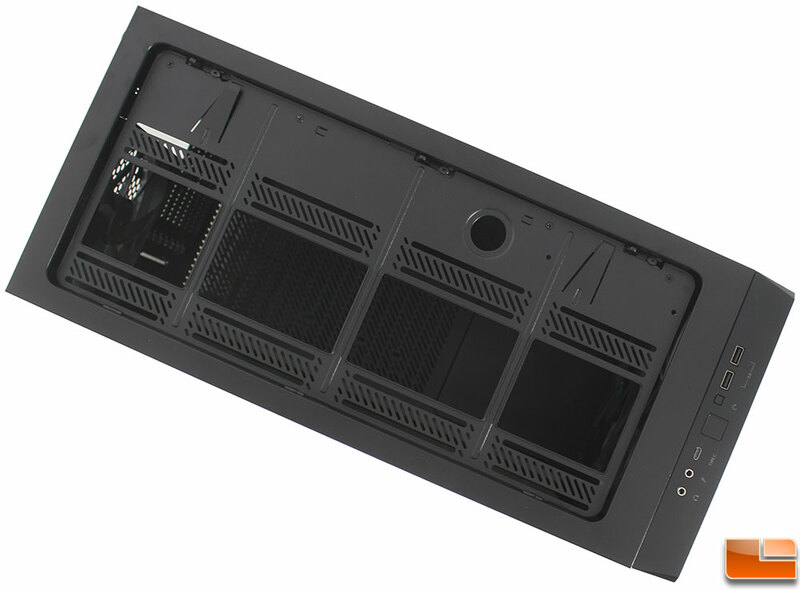 In addition, you can remove the top bracket to install your fans or radiator outside of the case, then re-install the bracket with them attached. Also, with the top bracket removed you have easy access to the edge of the motherboard to attach any cables such as CPU fan, or the 8-pin AUX power cable. At the front of the top panel, we find the front I/O cluster that features all the items we have come to expect from a modern case. To start there is the standard 3.5mm headphone and microphone ports, next comes a new Type-C port, followed by the power and reset buttons. Finishing up the front I/O cluster is two standard USB 3.0 ports; Fractal Design went with black USB 3.0 connections rather than the common blue USB 3.0 connectors. 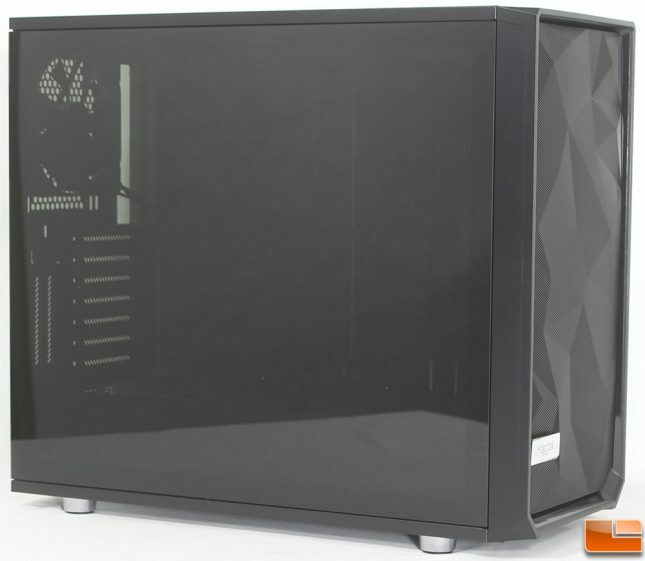 Tempered Glass side panels aren’t new, however Fractal Design has done their Tempered Glass side panel a little different. 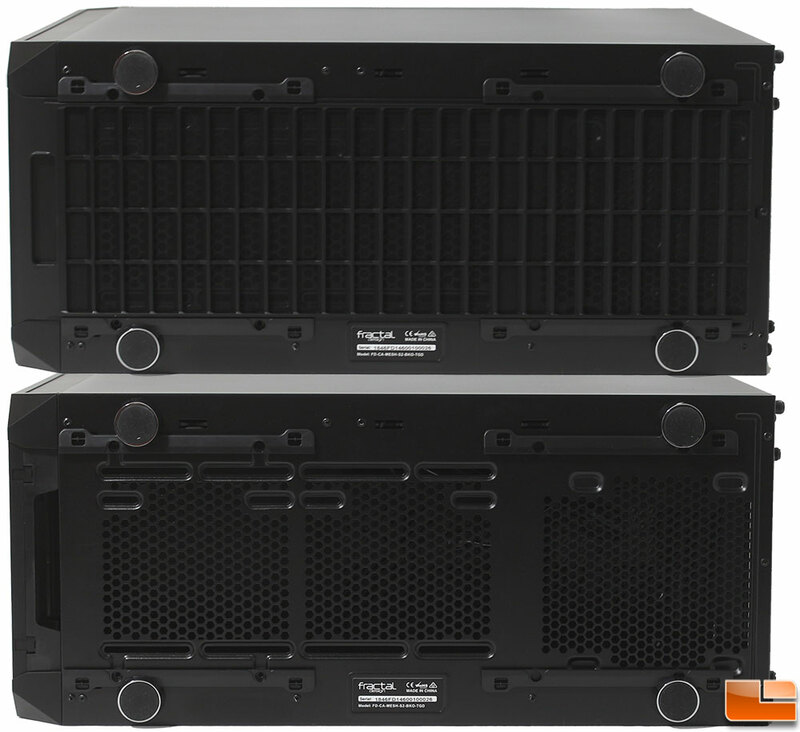 Most of the Tempered Glass side panels feature four large bolts/thumbscrews to secure the panel to the chassis. 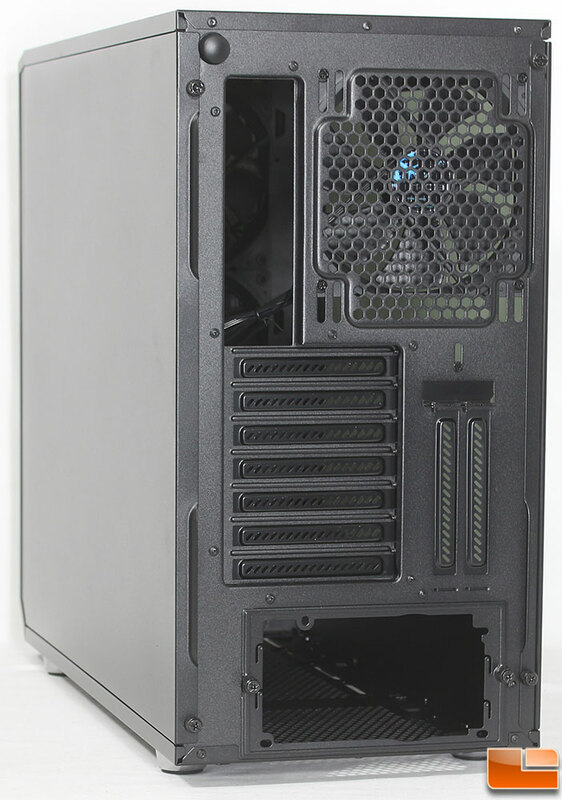 Fractal Design has done away with them, by attaching the Tempered Glass to a metal frame. This is a great change to the large bolts/thumbscrews as it makes for a very clean side panel. There are very few surprises on the back panel. 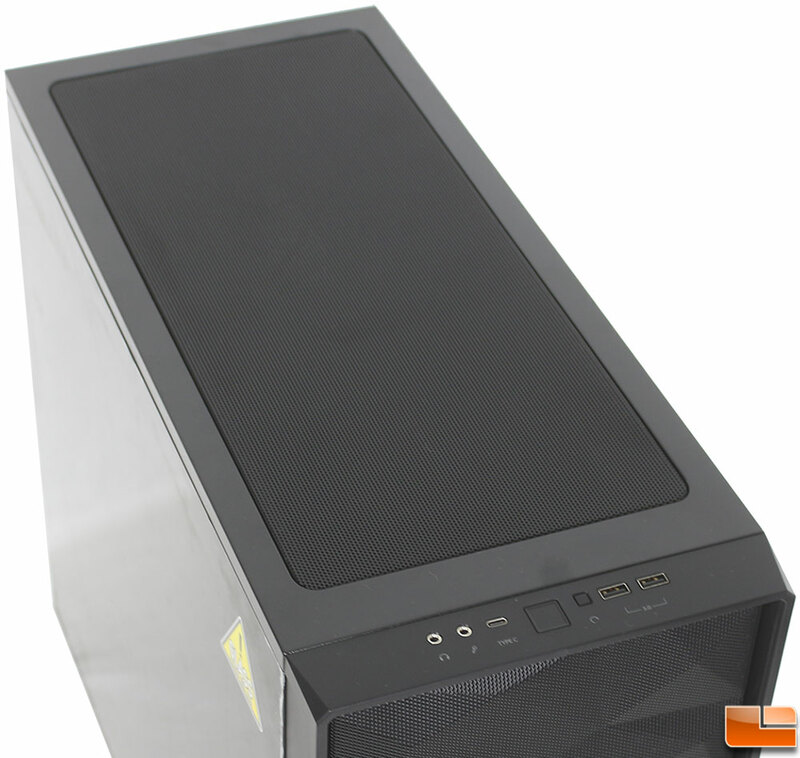 We find the usual items, the rear 120/140mm exhaust fan, motherboard port key, seven expansion slots, plus the two vertical expansion slots, and a bottom mounted power supply. What is a little usual is the big round button at the top left corner, this is the button that releases the top mesh panel. While not really unusual, Fractal Design has included two thumbscrews on each of the side panels, what is unusual is that they are not really required as both of the side panels feature a push-to-lock mechanism, making the thumbscrews really only necessary if you are concerned about somebody pulling the side panels off. The final side of the Meshify S2 is the bottom panel, here we find the usual four feet which will raise the case close to 3/4 of an inch off the surface, this should leave plenty of room for the power supply, and bottom mounted fans to get fresh air. Each of the four feet feature a chrome plating, with anti-slid rubber feet. Along the bottom panel is the full length filter, which rests on four guide rails. With the filter removed, we can see the two bottom 120/140mm fan mounts, and the bottom power supply air intake. Let’s take off the side panels, and check out the interior before building a system inside the Meshify S2.